Alberta (Hawkins) Hathcock, 95, of Mesa Arizona, passed away after a brief illness on January 8th 2017 in Mesa Arizona. 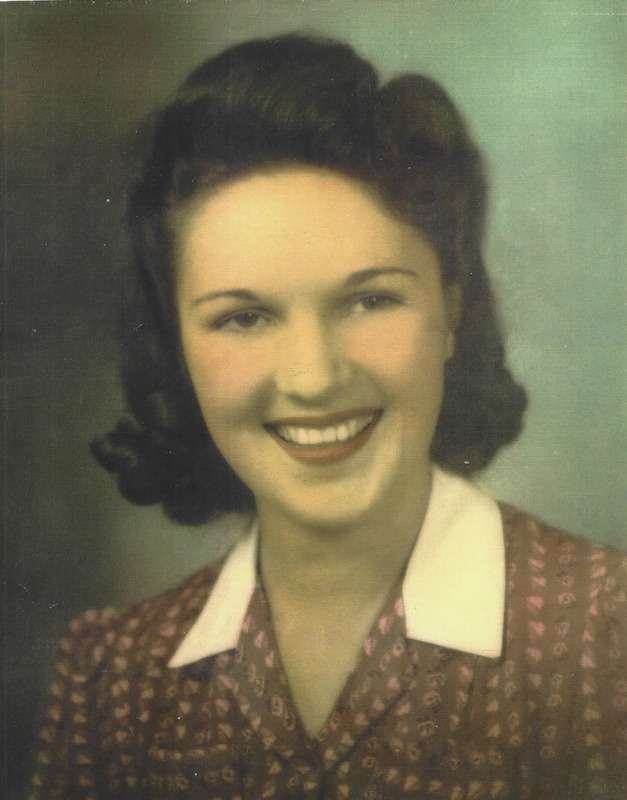 She is the daughter of Albert Wesley and Mary Jane (Kempton) Hawkins, and was born in Mesa on December 11, 1921. She attended Mesa Schools and graduated from Mesa High School. She later attended the Lambson Business College. She married David Stanley Hathcock on August 6, 1942 and together they raised six children; Karen Tyler (Ross) of Mesa, David Stanley Jr., of southern California, James Edward (Donna) of Orange California, Jane Garvin (Kirk) of Running Springs California, Robert Keith (Leslie) of Mesa, and Jean Smith (Thane) also of Mesa. Dave and Alberta were happily married for 53 years. Alberta was a stay-at-home mother; she loved to cook, sew, paint, garden and play with the grandchildren. She kept books for her husband’s custom trailer business and ran a Diet Center from her home. Alberta was preceded in death by her husband David Sr., daughter Karen, son Dave Jr., brothers Derral (Norma Lee), Kenneth (Jean), Max, Grant (Happy), Donnie, Clyde, and sister Beulah Mae Cox (Edward). Alberta had 24 grandchildren, 53 great-grandchildren and 2 great-great-grandchildren. A public visitation will be Monday January 16, 2017 from 6-8 PM at Bunker’s Garden Chapel, 33 North Centennial Way, Mesa, AZ. Family graveside services will be held on Tuesday, January 17, 2017 at 11 AM at the City of Mesa Cemetery. To the family and friends of Alberta Hathcock, I would like to express my deepest and heartfelt condolences to you. I am truly sorry for the lost that your family is feeling. Experiencing the lost of a beloved family member is one of the hardest thing that any of us can go thru. And because of that my thoughts and prayers are with your family. Take comfort in knowing that God never intent for us to deal with sickness or death. During this extremely difficult time, please turn to God for comfort and support. He promise to give your family the strength needed in order to endure this great lost. (2 Corinthians 1:3,4) Something else that can bring your family comfort is cherishing the wonderful memories that you have of Alberta. These precious memories will console the family in the day’s ahead. I had the privilege of being one of Alberta’s visiting teachers during the time that she lived in the Mesa 3rd Ward. She was always so gracious and kind, and I looked forward to our visits each month. She spoke often of her family whom she adored and was so very proud of each of you. I will always remember her kindness to me at the time of my husband’s passing. May our Father in Heaven bless each of you with peace and comfort and warm memories of a loving mother. I just discovered today that Aunt Alberta was in the Brookdale home where my mom who just passed today was. Small world. If we had know that they could of seen each other before they passed. My condolences to my cousins and family who I haven’t seen in years. Grant, that’s so small world. I hope you will stop by tonight. I have such fond memories of growing up around Alberta and all of our families. I was Alberta’s visiting teacher for several years and we enjoyed many happy and interesting times together. I loved your mom and she will be missed. sending love, respect, gratitude and honor to this lovely lady. how i love her baby girl jean and all the smiths!